Shauneen Bruder and Ron Crane, Pine River Institute. 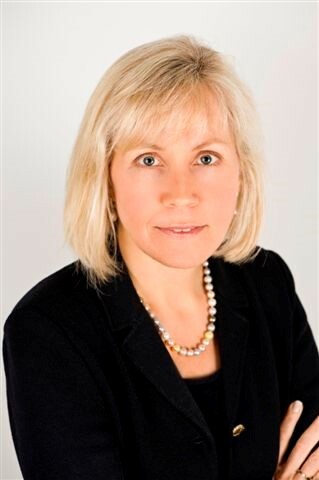 Mrs. Bruder is Executive Vice-President of Operations, Royal Bank of Canada and is also a member of the Group Operating Committee charged with oversight of day-to-day management of RBC globally. Previous roles with RBC include EVP of Business and Commercial Banking, COO of the Global Wealth Management division and President of RBC Centura Bank in North Carolina. Mrs. Bruder is a director of various RBC subsidiaries, including RCAP Leasing Inc. In addition, she is Chair of Pine River Institute, a Vice-Chair of the Shaw Festival Board of Governors, a Vice-Chair of the University of Guelph Board of Governors and a member of the President’s Council for OCAD University. She serves as Honorary Consul for Luxembourg in Toronto. She has served as Chair of the Canadian Chamber of Commerce and Chair of the Canadian American Business Council, and served on the Governor’s Task Force on Innovation for the State of North Carolina and the Board of Directors of North Carolina Wesleyan College. Mrs. Bruder has a BA from the University of Guelph (1980) and was Gold Medallist of the Queen’s University MBA class of 1984. She is a certified director (ICD.D) as a graduate of the Institute of Corporate Directors, and past chair of the Ontario Chapter of the Institute. She is a recipient of the Queen’s Diamond Jubilee Medal and has been recognized three times by the Women’s Executive Network as one of Canada’s Top 100 Most Powerful Women. She is married with three children.